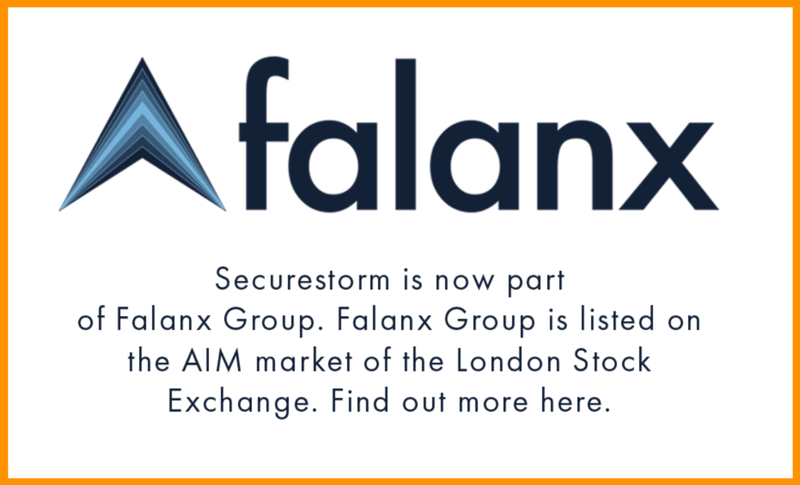 Falanx Group Ltd (“Falanx”, AIM:FLX), the global cyber security and intelligence provider, in line with its strategy of increasing value in the high growth Cyber Security market, is pleased to announce the acquisition of Securestorm Limited. Securestorm team are pleased to annouce that this announcement means our clients and potential customers get to enjoy the same great level of expertise and services but with added benefit of new portfolio and top range of solutions that arises out of this acquisition. We are now in a position to offer strategic intelligence to penetration testing, red teaming and more as our practice grows. NCSC News & Guidance Reports. Securestorm has been officially been awarded G-Cloud 10 status following the success of the previous G-Cloud versions. You can find us on Digital Marketplace here. In this iteration, Securestorm are committed to bring to market even more innovative as well as pragmatic solutions and services that are designed to help Government organisations be secured from cyber-threats, enhance their cloud capabilities as well as be UK Data Protection 2018 compliant. Securestorm Director, Tony Richards, added "It is once again great to be live on the new version of G-Cloud. Keeping in-line with the launch of previous G-cloud iterations and considering the Data Protection changes, Securestorm is further committed to delivering more, offering integrated services and exclusive solutions such as our Total Security Packages & Training, Risk & Vulnerability Management and Data Protection Services. This combined with our industry experience, delivery capabilities and subject matter expertise on Security & Data Protection domains will no doubt once again see us successfully solving security challenges for our clients across the Government." Securestorm, an NCSC certified Cyber Security Consultancy, assists customers in defining their security needs and designing and assuring security of public, private or hybrid cloud services. Cloud services such as Amazon Web Services or Salesforce are increasingly being used but often do not utilise all of the security options available. Securestorm, an NCSC certified Cyber Security Consultancy, assists customers in defining their security needs and designing and assuring security of public, private or hybrid cloud services. The Securestorm Total Organisation Security Package is designed to help organisations get the best cyber security services and solutions bundled in a single, encompassing, annual package. The security package provides organisations with Information Risk Management, Vulnerability & Security Testing, Unified Cyber Security & GDPR Training and Cyber Essentials Certification. 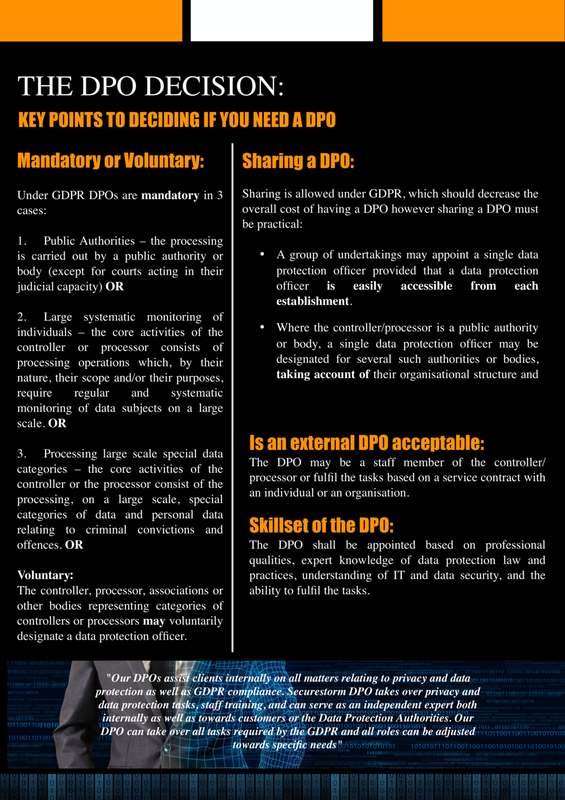 The Securestorm Data Protection Officer Service (DPOaaS) assists clients on all matters relating to privacy and data protection as mandated under the GDPR. 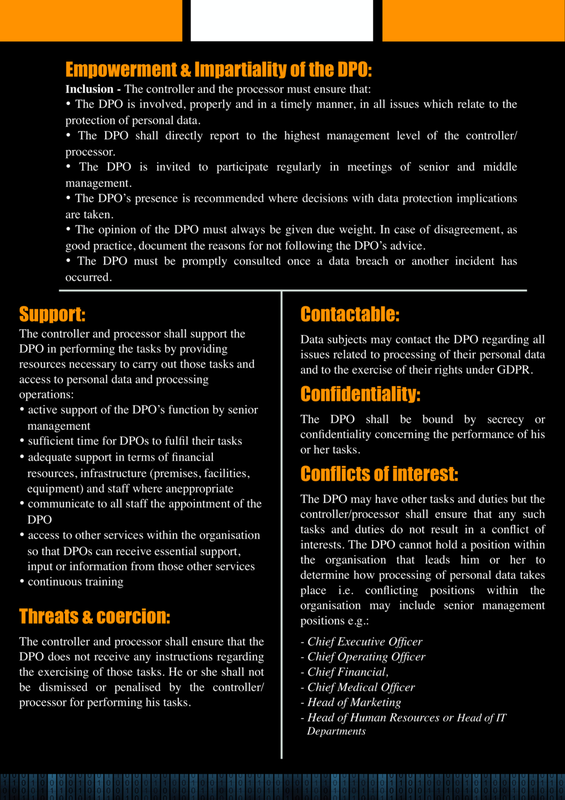 The DPO will serve as an independent expert both internally as well as with regards to customers, staff or the Supervisory Authorities. Securestorm, an NCSC Certified Cyber Security Consultancy, provides Managed Security Services, incorporating: multi-disciplinary teams of experts, qualified and experienced in: Risk Management, Operational Security, Security Testing, Security Architecture and Data Protection. Experienced in Justice, Policing, Defence and Ceneral Government. CybSafe is a British cyber security technology company. The next-generation, award-winning, AI-driven security awareness training platform uses GCHQ accredited content, advanced analytics, psychology and behavioural science to measure, understand and report on cyber security culture, increase employee engagement and demonstrably reduce human-cyber and data protection risk. Edgescan is a managed, Continuous Technical Security Vulnerability Assessment service with continuous, security testing and system visibility that delivers a unique service combining full-stack vulnerability management, asset profiling, alerting and risk metrics. As official partners, Securestorm, an NCSC certified company, will assist customers with on-boarding the service and portal configuration. Knack is an easy to use "Low-Code" development platform that Securestorm can provide as a pilot development service that lets you quickly build online applications and data databases as a proof of concepts. With Knack you can structure data, connect by linking related records together and extend data integrations. Securestorm provides expert consultancy on how to use Knack, the "Low-Code" development platform, including: setup, configuration, management and development. Knack is an easy to use "Low-Code development platform", suitable for OFFICIAL information, that transforms data into powerful online databases, with clean interfaces, and requires no coding. Securestorm Ltd., the provider of pragmatic Security services and solutions, is pleased to announce that it has been awarded a contract to deliver a managed ‘Cyber Security’ solution and services package tailored to boost the overall Security efforts of its client the UK Supreme Court. The work will consist of providing an award winning Continuous Security Testing and Vulnerability Management system called Edgescan. Another key solution provided will be the GCHQ Accredited - Unified Cyber Security Training & Awareness Platform called Cybsafe. Part of the work will also include provision of Cyber Essentials accreditation, which is an NCSC and Government-backed, industry-supported scheme to help organisations protect themselves against common online threats. The Securestorm Cyber Security Package will ensure that the Supreme Court will be able to use a full-stack assessment engine to identify any vulnerabilities or risks to their website and applications while improving cyber security behaviour, visualising human factor vulnerability, and reducing cyber risk with a unified security training programme. The added Cyber Essentials consultation and accreditation will reassure the public that the Supreme Court is working towards securing IT against cyber-attacks and have security measures in place against cyber risks. "We are delighted to have won the work to deliver this crucial cyber security project for the UK Supreme Court and are confident that we can contribute to the creation of a digitally secure and connected environment as we have done with our other Government clients. The Supreme Court, plays an important role in the development of United Kingdom law. As an SME, it is a testament to our expertise, experience and capabilities in that we are able to support the nations crucial legal system at a security level." 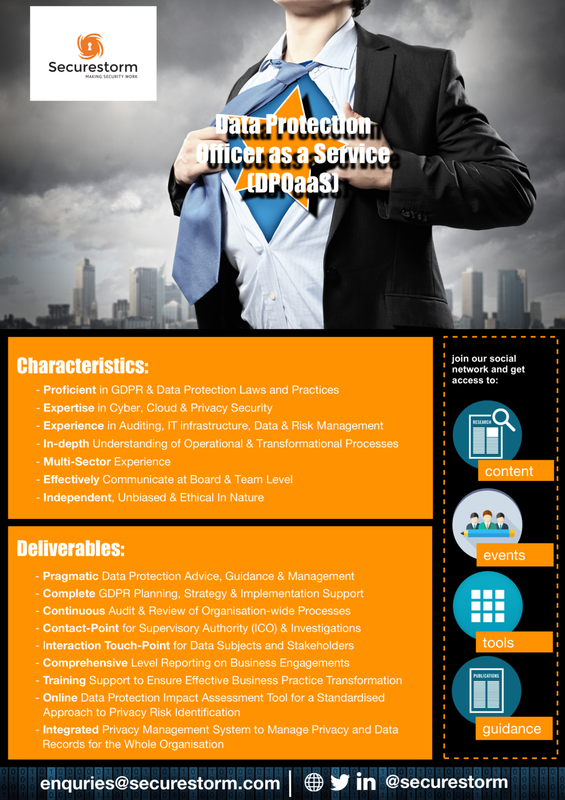 About: Securestorm® are leading security experts who deliver pragmatic advice, practical solutions and solve security challenges across the Digital, Cloud, Cyber and Data Protection (GDPR) domains. With a combination of experience, expertise and strategic awareness, Securestorm offers technical and strategic consultancy, managed security services and solutions to clients across both Public and Private sectors. Securestorm holds several certifications, notably being NCSC Certified Cyber Security Consultancy, Crown Commercial Suppliers, and Cyber Essentials. Furthermore, Securestorm are also industry prominent for its proven delivery capabilities. Expertise through skills & experience. During the compromise, anyone who visited a website with the Browsealoud library embedded inadvertently ran mining code on their computer, helping to generate money for the attackers. No money was taken from users themselves, but the mining code performed computationally intensive operations that were used to earn the cryptocurrency. These operations may have affected the performance and battery life of the devices visiting the site. The cryptojacking harnessed people’s computers to help ‘mine’ for cryptocurrency. This involves using your device to perform computations and does not take any money from you or your accounts. The only impact on affected users’ computers was that they temporarily had minor performance loss and reduced battery power. SRI (Sub-Resource Integrity) allows the browser to check a cryptographic hash of the script to ensure that your users are running the unaltered version. However, SRI will only work if the script is relatively static. If it changes regularly, the signature will no longer be valid and the script will not be loaded by users. Also, browser support for SRI is not universal. CSP (Content Security Policy) allows you to whitelist locations where scripts can be loaded from. Several independent researchers have written that having a well-defined CSP in place would have blocked this attack. We recommend putting the above mitigating measures in place where practical, and while we recognise these will not necessarily protect end users in all cases they will reduce the chances of your website being compromised. Implement robust change control for your code, including monitoring your codebase for unauthorised modifications, reviewing code contributions, and having a rapid takedown process in place for if a compromise is detected. 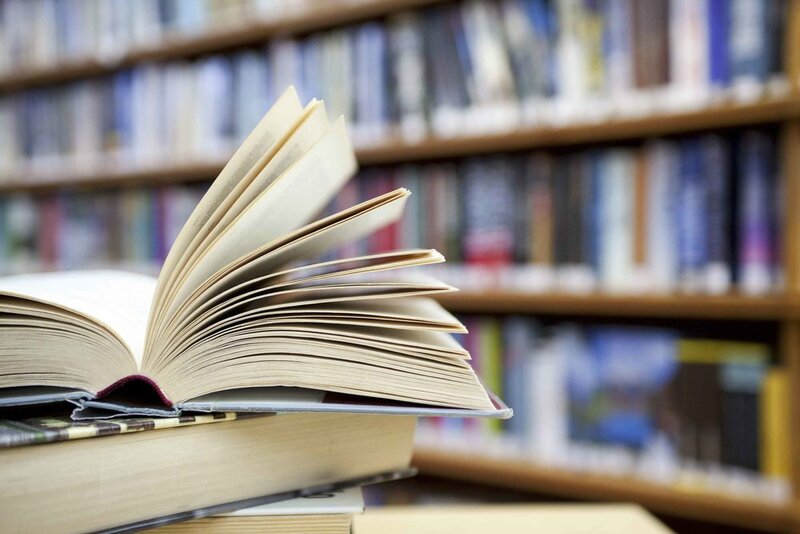 Where you offer hosted versions of your library, ensure that you have robust access control and logging in place for making changes to the library. 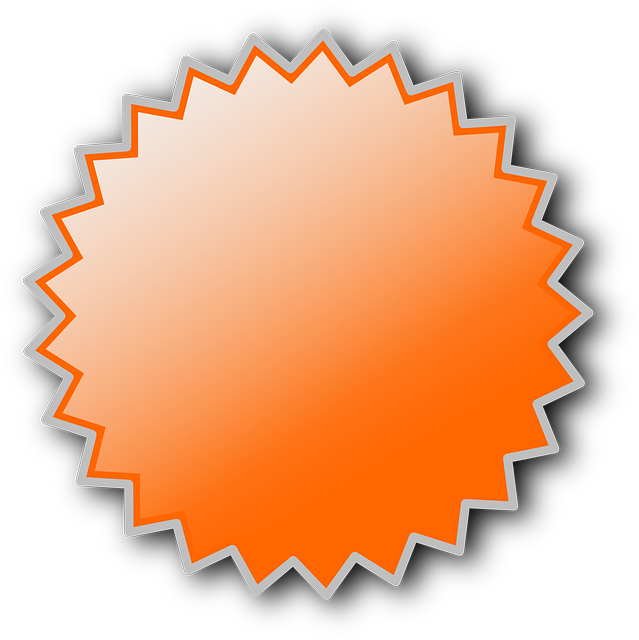 Consider supporting customers who wish to use Subresource Integrity (SRI). For example, providing numbered versions of libraries which remain static, and so have a static cryptographic hashes will enable customers to validate their integrity. Securestorm Director & Advisor to Public Sector, Tony Richards said "This is likely a result of improper security controls put in the place. That is why we insist the organisations that we work with to know exactly what is running on their systems, especially using when procuring third-party services or features. In addition to NCSC guidance on the matter, organisations need to consider the overall security maturity of the third-party service provider at that initial phase which helps to assess the level of risk that they may be exposed to at the outset". If your organisation needs help risk assessing third-party services, give Securestorm a call. As NCSC Certified Cyber Security Consultants, we focus on advising our clients with a pragmatic lists of actionable solutions that allow organisations to make big changes, fast and most importantly remain Cyber Secure. UK industries:"Boost Security or Face Fines!" The UK Government issued a press release that warned British industries to boost cyber security or face hefty fines for leaving themselves vulnerable to attack. Here are the key-points from the press article. The National Cyber Security Centre (NCSC), the UK’s centre of cyber excellence established in 2017, has published detailed guidance on the security measures to help organisations comply. These are based around 14 key principles set out in the NCSC consultation and government response, and are aligned with existing cyber security standards. Cybersecurity is everyone's problem, not just the responsibility of IT departments. Companies have to accept the fact that security has to be planned and implemented in to all business processes. Most organisations that deal with numerous consumer data may need to appoint, outsource or train key responsible personnel like CISOs, Information Security Officers and Data Protection Officers (DPOs). 3. TALK TO AN EXPERT! By now most companies have build up a 'cyber-awareness', that they must protect and invest in information security and IT assets to reduce the risk of breach, loss or exposure of data, theft of resources, and overall brand reputation with addition to the hefty penalties that they might incur. The recent breach reports and news articles like the popular TALK-TALK incident are examples of why. However, the challenge is how, particularly when most businesses lack the key skills to do so. Trust: Find out if they have relevant industry accreditations. For example, being an NCSC certified Cyber Consultancy would be good start. It is not always about certifications over experience, but your selected security partner should hold relevant qualifications that suit your industry type. Pragmatic: It is essential that your security partner provides practical advice and solutions that are carefully analyzed and chosen to reflect the right balance of benefit and costs. That is why going for a 'one-size-fits-all' solution does not work. Depending on your organisation, a degree of flexibility is required due to factors such as firm’s size & strength, matrix, cyber-security culture and maturity. Experience: It is important to know that you are getting the skill-set you paid for. Many large and reputed IT security vendors most often have the best online-presence but when it comes to experienced talents to actually fulfil clients responsibilities, they fall short. Our advice would be to get to know the team and look into their experience and client-delivery records. Industry Exposure: Each industry has its own information security protocol to follow. Furthermore, there are also different security group of guidelines such as NIST, ISO:27001, etc that apply to different organisations. This is why choosing a partner with relevant industry exposure makes a difference in your security goals. - Are you a Government Body or SME/Large Private organisation ? - Or are you a regulated industry like Banking, Finance or Telecommunications ? Securestorm are a NCSC Certified Cyber Security Consultancy with demonstrable experience and proven delivery capabilities. Advanced security solutions and services include: Nol-ij® - Continuous Risk Management, Edgescan® - Full Stack Vulnerability Management, CybSafe® - Unified Cyber Awareness Platform, and Falanx MidGARD™ - Advanced Monitoring Platform. Securestorm, the NCSC Certified Cyber Security Consultants are proud to have officially partnered with CybSafe, the GCHQ-accredited cyber security awareness training solution to deliver an intelligent and constantly-evolving training software platform that gives organisations a level of expertise, insight, research and understanding that goes above and beyond traditional tick box training. Tony Richards, CTO, Securestorm said, "We are delighted to tie-up with CybSafe. As cyber security advisors working alongside multiple organisations across Government to Private sectors, we have always expressed how security awareness and training is not a 'tick-box' activity. With our partnership we are able to provide innovative and engaging security training helping organizations to really embed and sustain better behaviours when it comes cyber security. The goal here is to embed a resilient security culture throughout organisations." Most businesses know that the human aspect of cyber security is important. They also know that they aren’t doing enough to address it and worry that they carry too much unnecessary cyber security and data protection risk as a result. The issues preventing good cyber security behaviour from the everyday-technology-users within their organisations aren’t actually just knowledge and understanding. Many people are also Apathetic, Disengaged, Fearful or Confused. These businesses want a cyber security awareness solution that demonstrably addresses the human aspect by changing behaviour, shows a demonstrable return on investment and marks them out as an organisation that can be trusted to take data protection seriously. CybSafe is Unified Cyber Awareness Platform. It is a data-driven, cloud-based software that addresses the human aspect of cyber security. In doing so it helps businesses to improve cyber security behaviour, visualise human factor vulnerability, and reduce cyber risk. CybSafe is a Unified Cyber Awareness Platform that helps organisations intelligently address the human aspect of cyber security by focusing on ABC – Awareness, Behaviour & Culture. enables businesses to engage their people by keeping them informed and encouraging them to contribute their insight. It brings together (many of the aspects) a business needs address the human aspect of cyber security effectively. CybSafe is a platform that can either be delivered on its own (for businesses without the capacity to do more), or as a mainstay feature that is complemented by additional security awareness activity. It is the only GCHQ-certified training tool of its kind that delivers this. An awareness programme should be an intelligently woven together series of activities that engage, educate, assess and inform Users. If done properly Users feel empowered rather than undermined. They also increasingly see the value in their understanding of cyber security and feel part of the collective solution. It’s a journey that takes many from ambivalence, disinterest and a feeling of inconvenience to interest, appreciation and sensible caution. Most businesses don’t have the time, expertise or resource capacity to focus on the human aspect of cyber security as much as they should/would like. 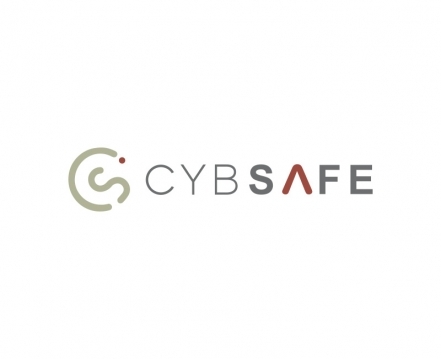 CybSafe’s Unified Cyber Awareness Platform automates the provision of this activity making its delivery effortless on the part of busy professional people. For businesses that realise that they need no longer pay lip service to the ‘people component’. For those that understand that they don’t have the staff, time or expertise to address this component effectively on their own. Any organisation that would like to directly address the human factor in cyber security to reduce their chances of having a breach – and benefit from the insights and experiences of others whilst saving money in the process. If you would like more information or advice on our range of Security Training and Awareness Programmes, get in touch here. Securestorm are pleased to have received the bronze award recognition from the Armed Forces Covenant - Employer Recognition Scheme (ERS). As part of our on-going commitment we particularly seek to support the employment of veterans young and old, through actively targeting veterans in employment campaigns, actively supporting industry training and work placement schemes and mentoring veterans within the industry. We now proudly carry the Armed Forced Covenant logo to show our membership and involvement. For more information on our involvement with the AFC or opportunities for Armed Forces, please get in touch with us on enquiries@securestorm.com or visit our CAREERS page for latest vacancies. 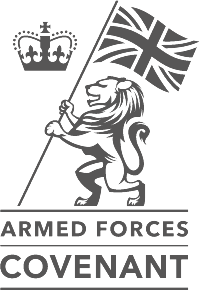 Securestorm has recently signed an official agreement to honour the Armed Forces Covenant. By extending the support to the Armed Forces Community, we recognise the value Serving Personnel both Regular and Reservists, Veterans and military families contribute to our business and our country. 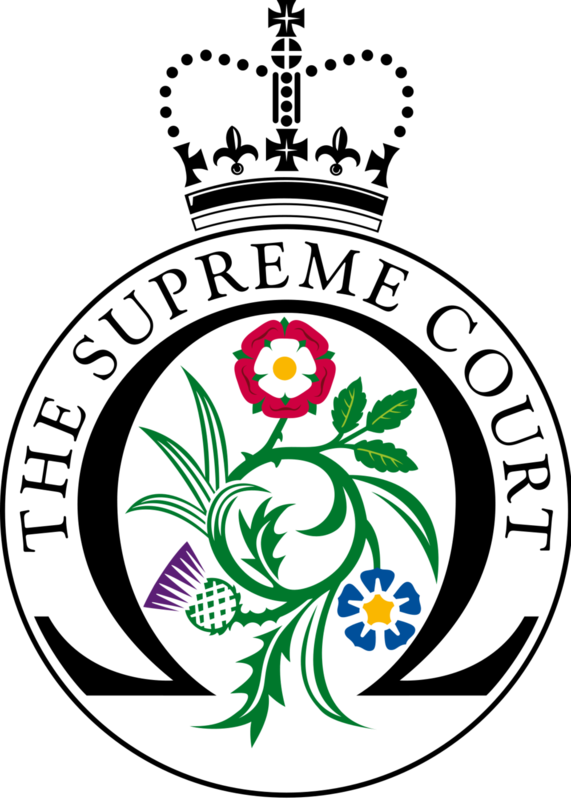 By directly getting involved with the Armed Forces Covenant, we extend and re-affirm our beliefs by actively supporting initiatives, taking up causes and voicing their messages in our actions. Our Armed Forces fulfil the responsibility of protecting the realm on behalf of the Government, sacrificing some civilian freedoms, facing danger and, sometimes, suffering serious injury or death as a result of their duty. Families also play a vital role in supporting the operational effectiveness of our Armed Forces. In return, the whole nation has a moral obligation to the members of the Naval Service, the Army and the Royal Air Force, together with their families. They deserve our respect and support, and fair treatment. 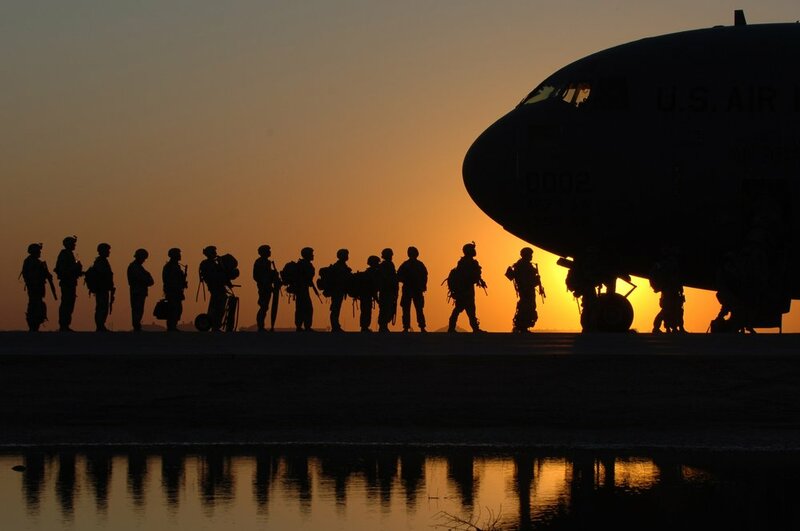 "We (Securestorm Ltd.) will endeavour in our business dealings to uphold the key principles of the Armed Forces Covenant"
Securestorm not only acknowledges this agreement as an initiative but also holds these values deep within the company culture and origins. In fact, Securestorm Co-founder & CTO, Tony Richards served in the armed forces before making his mark on the Cloud & Cyber Security domains as an industry leader & strategist, especially working alongside and solving challenges for Public Sector organisations like the Ministry of Justice, Youth Justice Board, Supreme Court, and GDS, to name a few. As part of our on-going commitment we particularly seek to support the employment of veterans young and old, through actively targeting veterans in employment campaigns, actively supporting industry training and work placement schemes and mentoring veterans within the industry. "We (Securestorm Ltd.) recognise the value serving personnel, reservists, veterans and military families bring to our business"
Tony Richards, commented "With years of experience in the army as well as working in a trending industry, my team and I are able to provide the 'right' nurturing and 'balanced' mentorship required to help the members of Armed Forces pick up and apply new skills suited to them as well as transition back to civilian life. We have already seen some great success in our involvement and we will continually do so in all our future endeavours". We also take this opportunity to encourage other organisations and associates in our community to support and take up this cause of supporting the AFC. This goes beyond getting veterans back to normal life as the industry needs to recognize what they have to offer. There is a big opportunity to fully develop veterans’ skills and train them to be specialists in order to meet the rising national skills shortage in technology, particularly the vast field of Cyber and Cloud Security. Cloud is fundamental to the UK’s digital future. But an organisation’s decision to move to the cloud will mean organisational change. Leading employees, particularly IT professionals, feeling anxious about how the cloud will impact the way they work. This level of change will for many be a significant step change and cultural shift in how IT services are consumed. If not properly managed organisations could struggle to fully optimize the full potential of cloud. The purpose of techUK’s ‘Cloud Champion’ campaign is to showcase technology leaders that are playing a leadership role in championing and supporting organisation’s move to the cloud. 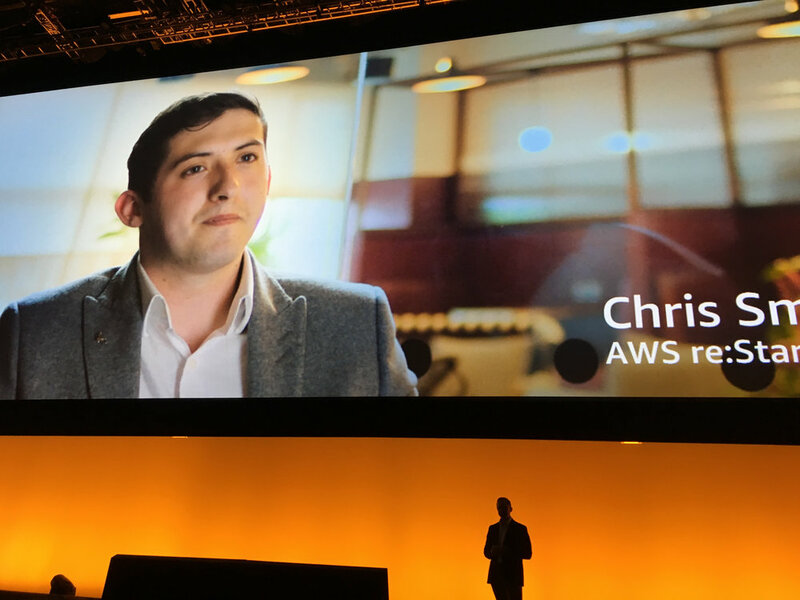 The campaign will highlight best practice by leaders that are creating cloud enabled organisations, across all sectors, and a cloud driven workforce that will be vital for the UK’s digital future. Securestorm are techUK members and fully support the organisation's wider initiatives by participating in meaningful dialogues, strategy measures and thought-leaderships. Read the recent coverage about the 'Trust In Cloud' initiative and access the research papers here. About: Securestorm are dynamic cyber security experts that delivers practical advice with the aim of meeting and solving challenges across Cloud and Cyber Security domains. With a combination of experience, expertise and strategy, Securestorm offers guidance to clients across Public and Private sectors. Securestorm holds several accreditations, notably being NCSC Certified Cyber Security Consultancy, Crown Commercial Suppliers, and ISO:27001. Furthermore, Securestorm are also industry prominent for its proven delivery capabilities. G9 has officially replaced G-Cloud 7 (G7) and G-Cloud 8 (G8) to bring about consistent information about all services to bring more of the G-Cloud buying journey online. Buyers and suppliers will be able to use one set of contracts for all their G-Cloud services. Securestorm has been officially been awarded G-Cloud 9 status following the success of the previous G-Cloud versions. Securestorm are committed to bring innovative as well as cost effective solutions and services that are practical to help Government organisations be secure from cyber-threats as well as manage resources effectively. Securestorm CTO, Tony Richards, added "It is great to be live on G9. Keeping in-line with the launch of previous G-cloud iterations, Securestorm is further committed to delivering more, offering streamlined services and exclusive solutions such as the award-winning Edgescan. This combined with our industry experience, delivery capabilities and subject matter expertise on trending threats will no doubt once again see us successfully solving security challenges for our clients across the Government." Cloud services such as Amazon Web Services or Salesforce are increasingly being used but often do not utilize all of the security options available. To request for a for additional information on any services tailored to your organisation's infrastructure, budget and considerations please get in touch via enquiries@securestorm.com or call 0203 8655890 for advice and consultation. Additionally visit our technology services directory www.Informd.Online to view assurance reports services. Securestorm Ltd. are pleased to announce that they have been selected as finalists in the Consulting Practice of the Year for the 2017 Cyber Security Awards. The Cyber Security Awards were established in 2014, to reward the best individuals, teams and companies within the cyber security industry. Excellence and innovation are core themes, throughout all categories. The Cyber Security Awards team, reviews the industry, looking for the best possible applicants. The winners will be announced at the Cyber Security Awards dinner and presentation at the Chelsea Harbour Hotel on Thursday 29th June 2017. Mandeep Obhrai, CEO Securestorm stated "We are proud to be finalists for the best consulting practice of the year. Over the past few years cyber-threats have evolved and we have been marking our success based on how we have delivered practical solutions to critical cyber challenges faced by our high-profile clients. This approach has carried us far and earned us the title of being the industry experts." Tony Richards, CTO Securestorm said on the occasion "This is a good motivation for our achievements. We have been hard at work getting on-board a number of specialist Cyber Security frameworks and among the few who are NCSC Certified for various cyber security services from the very start. We hope to use this news to fuel our drive for furthering our technical expertise in the industry." Situated at the luxury 5* Chelsea Harbour Hotel London, the Cyber Security Awards is a leading awards event for the cyber security industry. The event consisted of reception drinks, 3 course meal with wine, coffee and petit fours. The cyber security awards is the ideal event to gain recognition for your success within the cyber security industry. At the awards, you can expect to network with leading industry professionals from consultancies, technology firms, defence businesses, FTSE 250 and public sector bodies. Securestorm Ltd. are leading cyber security experts that provides practical advice with the aim of simplifying challenges in the domains of Cloud and Cyber Security. With a combination of experience, expertise and strategy, Securestorm brings innovative delivery and subject matter expertise to the industry across Public and Private sectors. Securestorm are NCSC Certified Cyber Security Consultancy for Risk Assessment, Risk Management, and Audit & Review. Furthermore, Securestorm are also an approved CCS, CESG, Cyber Essentials and ISO 27001 certified consultants with presence on the G-Cloud, Cyber Security Services 2 and Digital Outcomes and Specialist 2 frameworks.